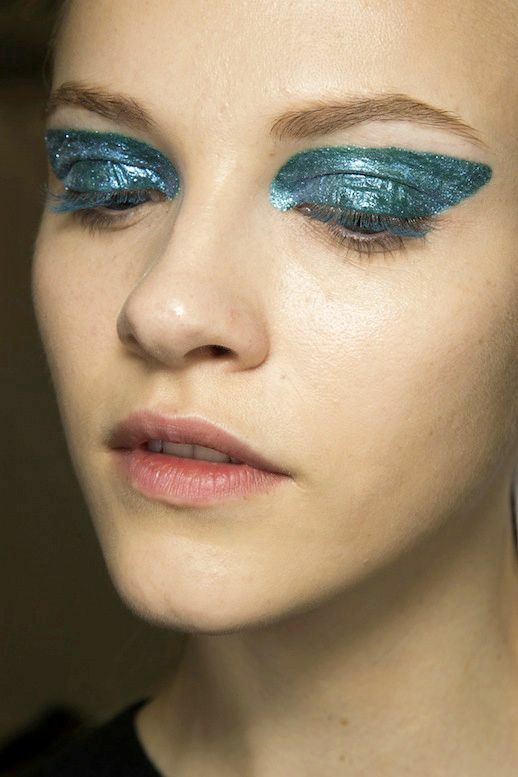 The shimmery statement eyes were stunning at Dior F/W 2014. 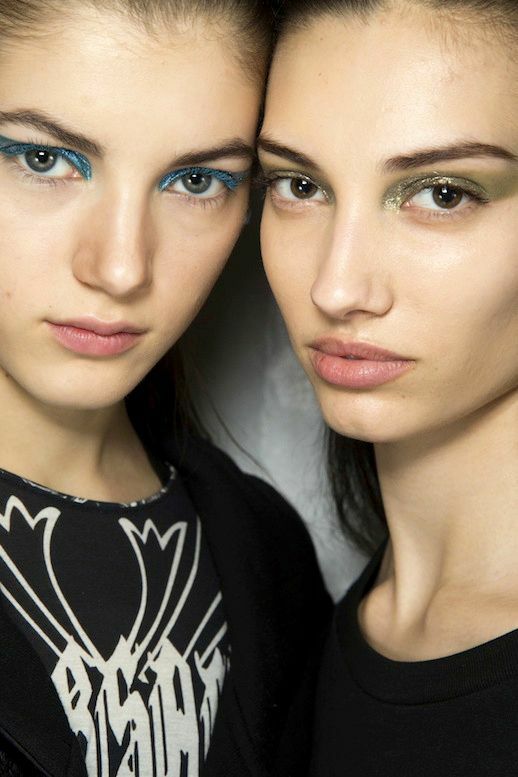 Normally shows only have one beauty look, so it was fun to see both the bright blue and greenish gold go down the runway. 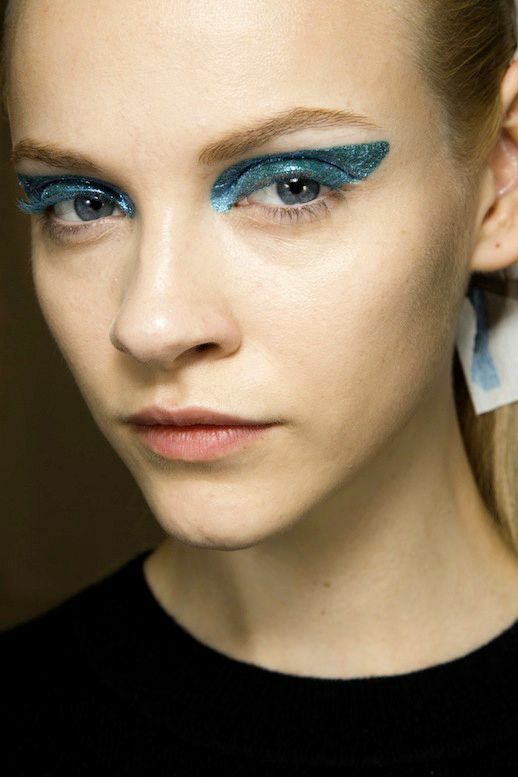 If you're bold enough to attempt this look (major props to you! 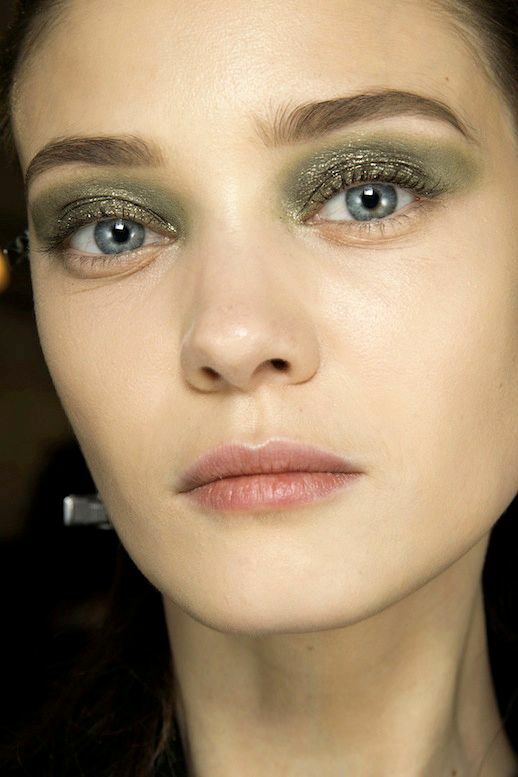 ), I suggest playing around with M·A·C Eyeshadow in Electric Eel and/or M·A·C Pigment in Old Gold. 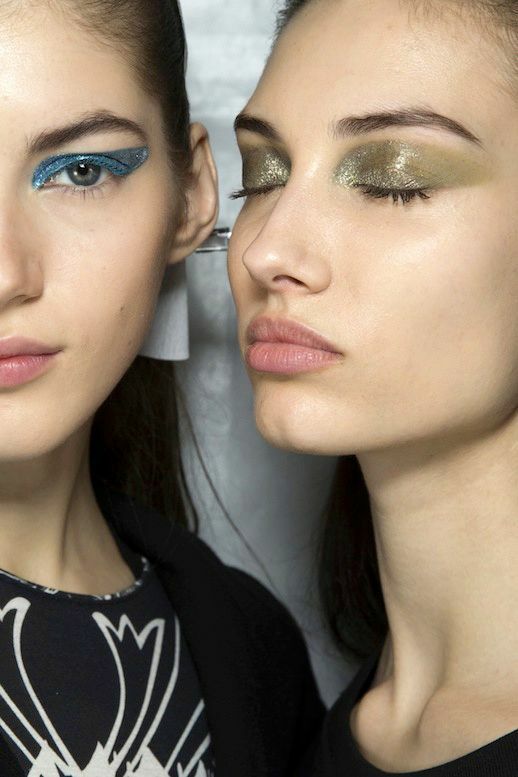 0 Response to "BACKSTAGE BEAUTY: SHIMMERY STATEMENT EYES | DIOR F/W 2014"